MOSCOW. 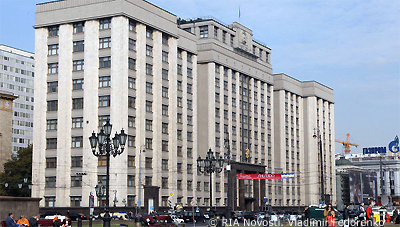 March 22 (Interfax) – The Social Engineering Agency has been set up in Russia as a new analytical center to develop measures to oppose color revolutions, State Duma Foreign Affairs Committee head Leonid Slutsky said. “In my view, this is a grand idea. It’s the first time that steps to prevent the implementation of scenarios inspired from the outside to dismantle a constitutional system will be discussed at the expert and professional level,” Slutsky told journalists on Thursday. “Of course, such experiments will never be admitted in Russia,” Slutsky said. However, it is important to detect signs of external interference and threats in advance, he said. Slutsky regretted that international law is undergoing transformation in the modern world. “The change of unwanted regimes has become a customary tool for our ‘strategic friends’ dreaming of their own hegemony on the planet,” he said. “We have repeatedly seen examples of dirty manipulation of public opinion or destabilization of a situation using lapdog media and NGOs,” he said. “This practice needs to be curbed,” he said. Parlamentskaya Gazeta, the official newspaper of the Russian Federal Assembly, published an article on the Social Engineering Agency on Thursday. Its coordinator, Anton Davidchenko, said the idea to set up the agency belonged to a number of public figures and parliamentarians. “This is a new analytical center focused on intellectual analysis of the subject of coups d’etat and color revolutions,” Davidchenko said.